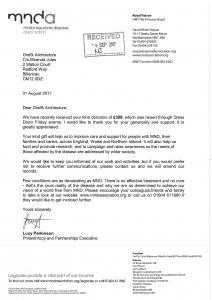 Our latest donation was to Motor Neurone Disease Association for £359. 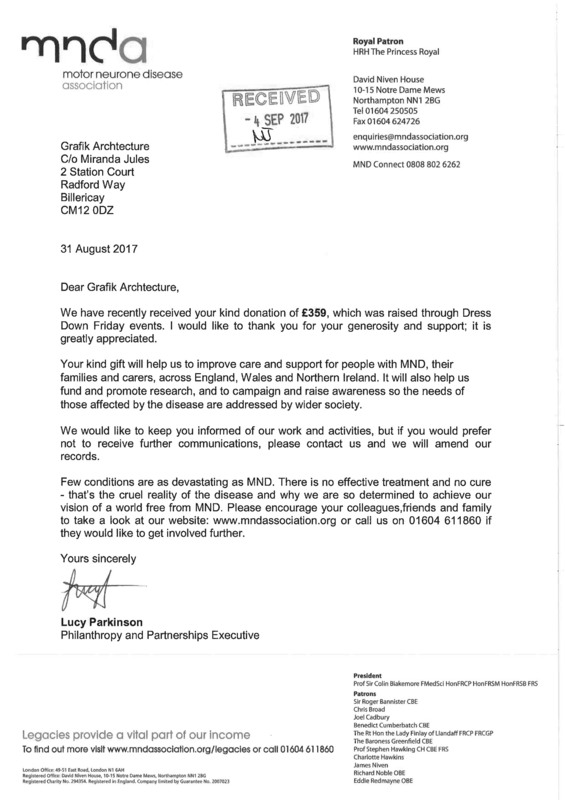 The Motor Neurone Disease Association is a British charity operating in England, Wales and Northern Ireland, established in 1979 by a group of volunteers to co-ordinate care, support and research for people affected by amyotrophic lateral sclerosis, which is a form of motor neurone disease. MND describes a group of diseases that affect the nerves (motor neurones) in the brain and spinal cord that tell your muscles what to do. With MND, messages from these nerves gradually stop reaching the muscles, leading them to weaken, stiffen and waste.